On February 23rd and 24th, Le Comptoir and Johnnie Walker Blue Label present an exclusive whisky experience created and hosted by Michelin-decorated chefs. 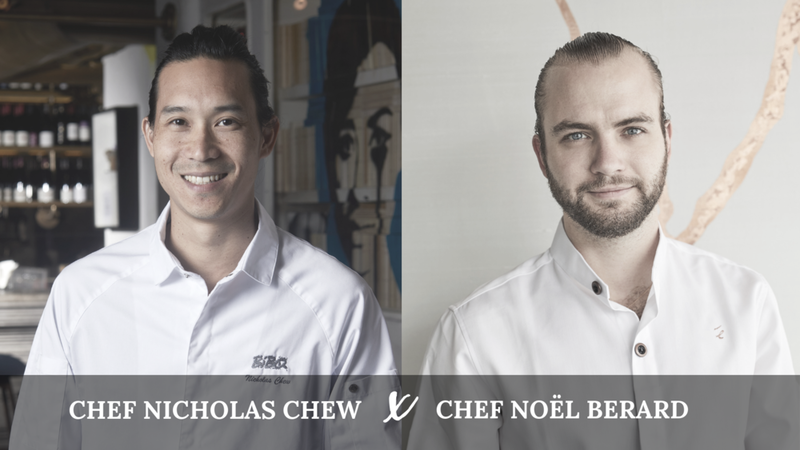 Chefs Nicholas Chew (BIBO) and Noël Bérard (Écriture) will unveil a tasting menu of signature dishes paired with Johnnie Walker Blue Label in conjunction with extremely rare whiskies including the incredibly rare 1975 Cambus single cask expression. Reservations for lunch & dinner sessions on Saturday 23 and Sunday 24 February 2019 are extremely limited and available only through Le Comptoir.